This was a big week at Dallas/Ft. 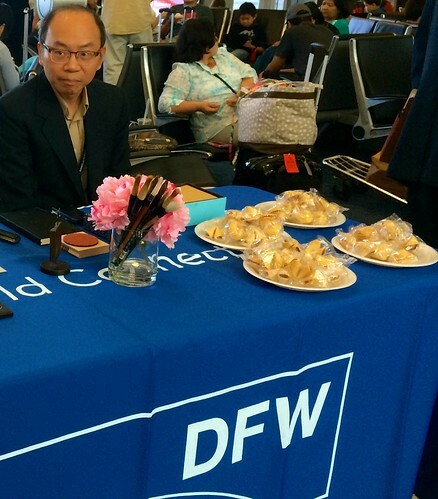 Worth International Airport, on Wednesday American launched direct flights between DFW and two destinations in China: Hong Kong and Shanghai. 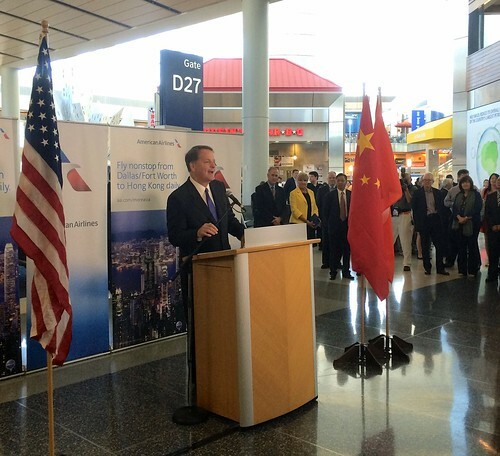 The new service to Hong Kong is especially exciting because it represents an entirely new destination for American! 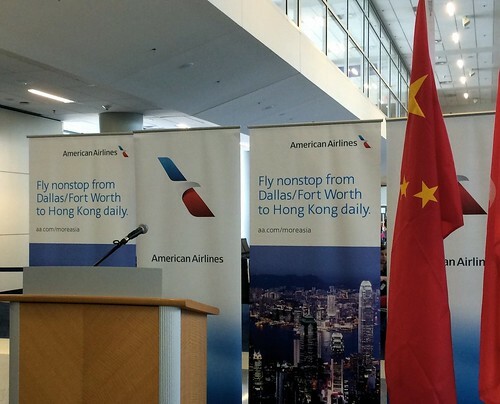 The new DFW/Hong Kong route will boast the longest AA flight in their network: the westbound flight is 16 hours and 50 minutes. 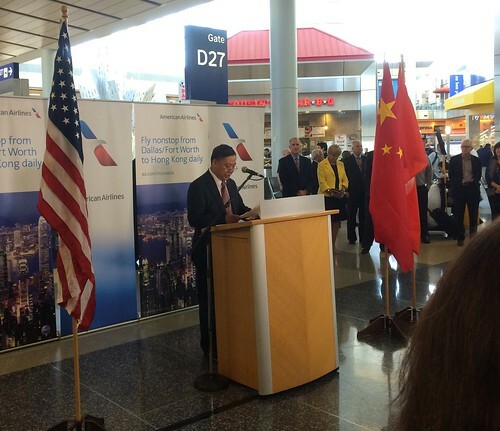 To celebrate the occasion, American hosted a ceremonial ribbon-cutting for the new Dallas-Hong Kong flight. 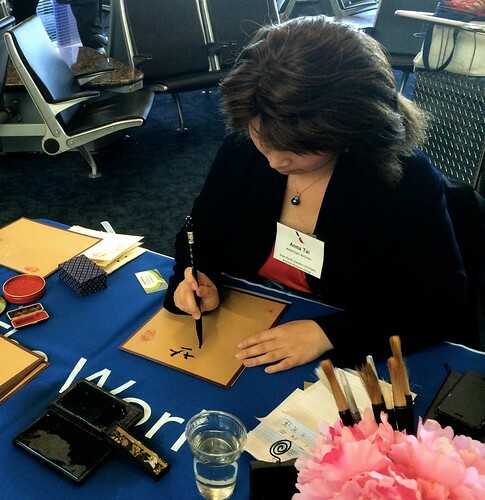 The @AmericanAir team invited me out for the festivities. Here are some party pics. The scrum getting ready for the event. 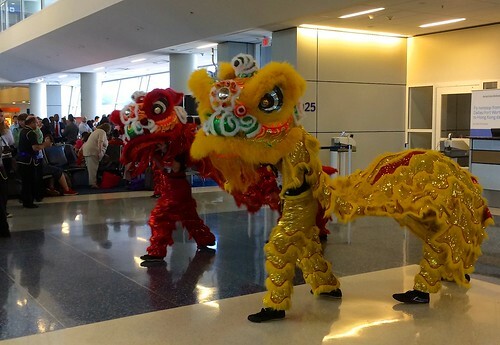 Some entertainment at the gate. 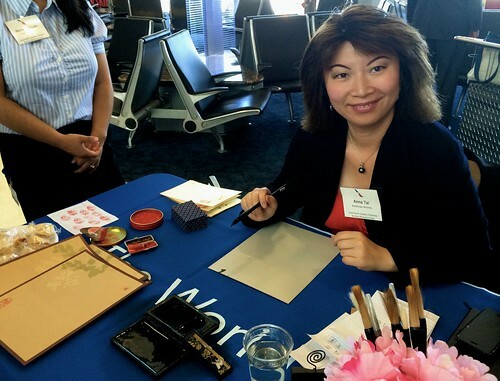 Anna, a volunteer with the American Airlines Asian & Pacific Islander Employee Resource Group, demonstrated her calligraphy skills by creating name cards for passengers and guests. 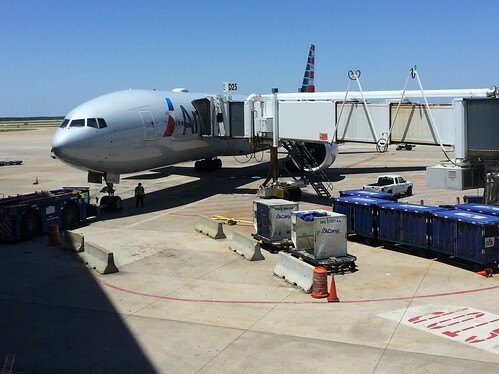 AAdvantage Executive Platinum member David W., who added another inaugural flight certificate to his collection, has plenty more AA flights in his future. 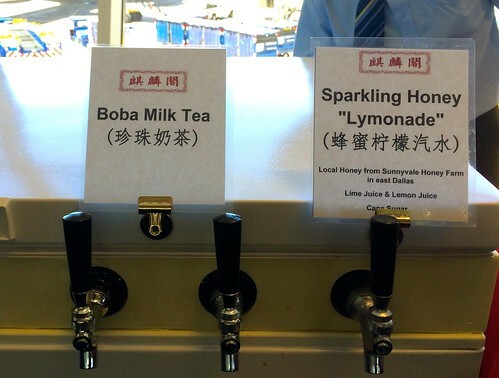 Some pre-flight refreshments for passengers, guests, airport visitors, and employees. 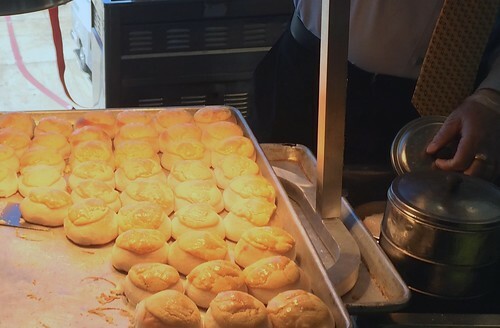 Pineapple buns and shrimp dumplings for everyone! 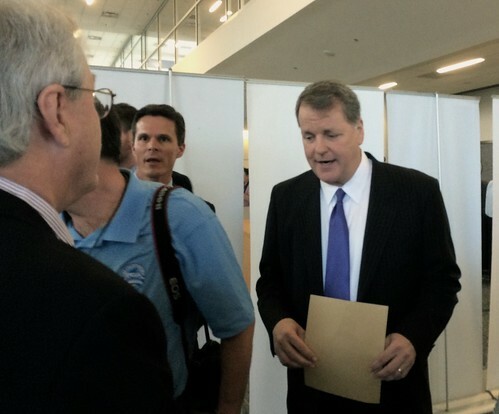 American Airlines CEO Doug Parker welcomes passengers, guests, and visitors to the event. 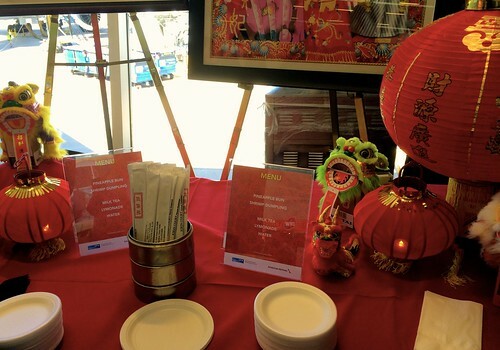 A few words from Consul General Li Qiangmin from the Chinese Consulate in Houston. Ft. Worth Mayor Betsy Price was excited about the new service. 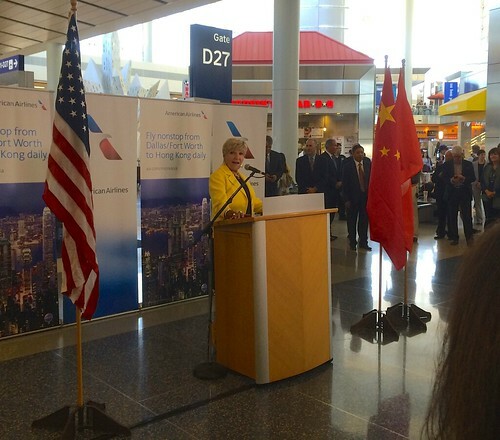 She spoke about how important it was to the North Texas business community to have a direct connection to China, and to illustrate her point she mentioned that Ft. Worth based Pier 1 Imports CEO Alex Smith was traveling on the inaugural Hong Kong flight. And now the ribbon cutting! 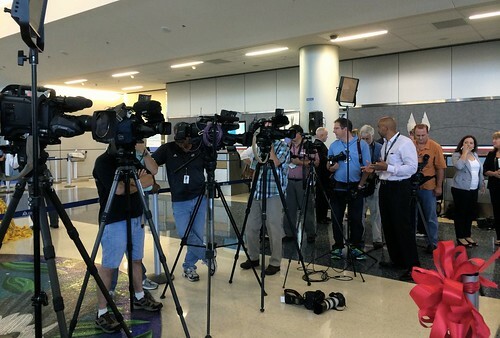 Doug Parker taking questions from Dallas Morning News aviation reporter Terry Maxon. It’s time to board the flight! Thanks to @AmericanAir for the takeoff video and for inviting me! 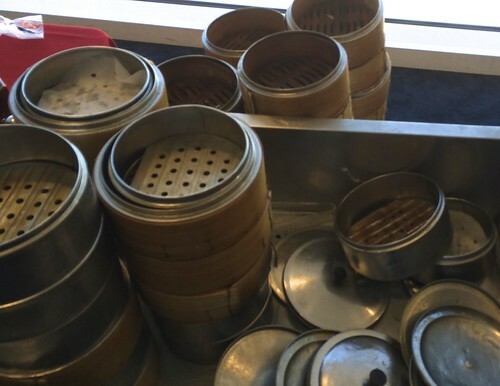 I have been looking at their open seats for the HKG flight and I found a wide open selection. Does anyone know their load factor? @ Carloa – Haven’t heard anything, other than AA saying that they’re pleased. Anecdotally, I’ve talked to a few people who are traveling in the next two weeks and their outbound SWUs have already cleared. Thanks for reading! i read somewhere its the new 777-300ER. but the awards chart is terrible, no saver for F & J. 180-210k one way for F, 140-175k for J. @ DJ – Thanks for bringing it up, I should have mentioned it. The Hong Kong flight is indeed the new 777-300ER. I’ve been tracking award space and haven’t seen much open up, not even close in. Hopefully, a month or two after they start the route revenue management will have a clearer picture of load factors and we’ll see more space open up. That’s what happened with other new routes out of DFW (like Lima and Seoul); a month or two after launch MileSAAver space started becoming available. Let me know when you go, love to hear you review of the meal service! 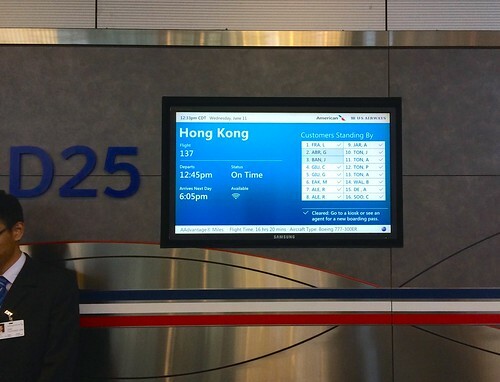 I’m currently on flight 137 to HKG. Today’s flight was completely full, but a lot of that appears to be due passengers rerouting due to a delay on the NRT flight. My SWU cleared both ways but it was close on the outbound with the upgrade only clearing last night. @ Brittain – Woo hoo, glad your upgrades cleared! Thanks for sharing that info. Hope you have a great trip! I was able to book a business class ticket in April for 55k (saver) from DFW to HKG. I am super excited to ride the new plane! 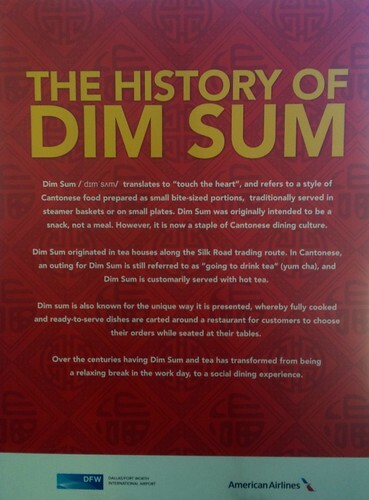 @ samenmon – That’s awesome! Thanks for sharing the info about MileSAAver availability. 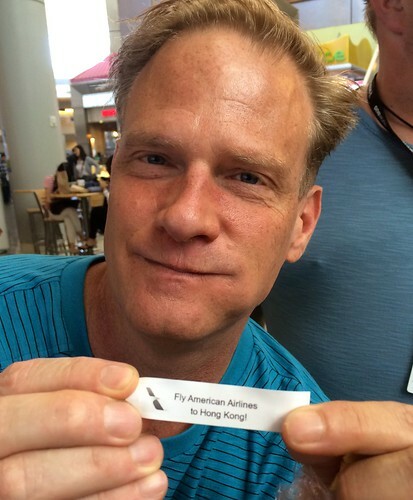 Have fun in Hong Kong!